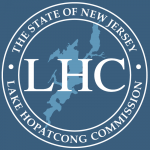 Water monitoring on Lake Hopatcong is conducted annually between May and October by Princeton Hydro, LLC. The water quality monitoring program assesses the overall “health” of the lake on a year to year basis, identifies long-term trends or changes in water quality, and quantifies the success and potential impacts of restoration efforts. Monitoring water quality also aids in the evaluation of the long-term success of the phosphorus TMDL-based Restoration Plan, which was approved by NJDEP in April of 2006. During the summer of 2018, Princeton Hydro, LLC will update the Restoration Plan through funding provided by the Highlands Council. The most recent Water Quality Report was provided by Princeton Hydro in October 2017. Previous years can be found on our Resources page.